The BSharry Side Chainer gives you the pumping sound of dance music automatically. 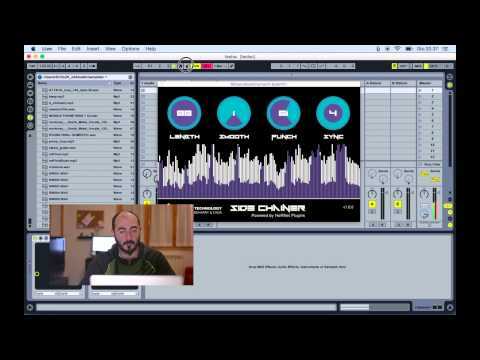 Side Chainer is a production tool designed to help you achieve the typical sound of dance music that is usually obtained using a compressor side chained to the kick drum, top DJs and producers all over the world has used this production technique to create punch, space and definition in their mixes. This setup allows to duck another track (usually the pads and leads or even the whole master bus) every time the kick plays, while pretty easy in principle this setup is not always easily accomplished in many DAWs since sometimes audio routing can be complicated, then you also have to understand how the compressor works and the correct time settings to use for attack and release in order to create the right rhythm. BSharry Side Chainer helps you with this production trick because it doesn’t require any control track or complicated setup, the signal driving the internal compressor is auto generated by the plugin and synced to the host tempo with many time division options. The controls on the Side Chainer are calibrated so that you always get a useful effect and allows you to reach the sound you are after in a short time, they are divided in four rounded knobs that modifies the time and shape of the internal control signal. The plugin offers a visual representation of the audio, both the original and the modulated result, in the low part of the GUI you can see the input signal in white and the resulting modulated output in purple, two audio measure are shown so you can see the “pumping effect” in action. Effect characteristics like length, smooth and punch adjustable. Effect sync to tempo host in: 1/8, 1/8 dot, 1/4, 1/4 dot, 1/2, 1 bar. Have been using this plugin for a few months now and am very pleased with it's simplicity and performance. The four control dials are smooth and responsive enabling the user to sculpt the sound quickly and accurately. Ducking has never been easier and as with all Hornet plugins they are great value for money. So simple and fun to use it almost feels like cheating. Again an essential purchase for such an incredible price.